BANGKOK A political earthquake has been triggered in Thailand with the nomination of princess Ubolratana Mahidol as a prime ministerial candidate for March election, overturning a Thai tradition that the royal palace plays no public role in politics. Observers say the surprising announcement has completely upended the prospects for incumbent Prime Minister Prayut Chan-ocha to retain power � which he seized in a military coup in 2014. “The [party] board agrees that the name of Princess Ubolratana, an educated and skilled person, is the most suitable choice,” Thai Raksa Chart party leader Preechapol Pongpanich reportedly told a press conference Friday. Her decision to run for a party affiliated with Thaksin Shinawatra, whose parties have won every Thai election since 2001 but were twice ousted by military coups, adds even more intrigue. The exiled billionaire businessman’s “red shirt” movement holds a powerful network of rural political strongholds. But they are reviled by some factions of the Bangkok elite and the military � a bitter schism that has fueled near unending turmoil in Thai politics over the past two decades. The strength of the alliance the princess has forged with the populist movement is bolstered by the popularity she enjoys as the respected eldest daughter of the country’s deeply revered late king, Bhumibol Adulyadej. She is understood to be close to her younger brother, Maha Vajiralongkorn, who became king following their father’s death in October 2016 and is scheduled to be coronated in May, shortly after the election. Despite her lineage the princess is widely perceived as an open, down-to-earth character who sacrificed her royal privileges to marry an American commoner, Peter Jensen, in 1972. After she divorced Jensen in 1998, some of those privileges were restored and Election Commission officials have yet to clarify if her status could conflict with her candidacy for prime minister. Concerns are also being raised about how her royal connection will impact rival politicians who campaign against her, given Thailand has one of the world’s strictest LAse-majeste laws. Technically, Article 112 of the Thai constitution, which allows punishments of up to 15 years in prison for those convicted of insulting, defaming or threatening the monarch or royal family, does not apply to someone of her status. However, Thitinan Pongsudhirak, an associate professor at Chulalongkorn University’s Faculty of Political Science, said in recent years the law had been interpreted with increasing elasticity. 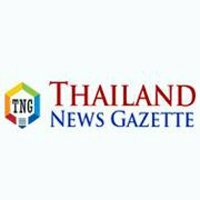 In a statement Friday, Thai Raksa Chart said Princess Ubolratana’s official royal status remained revoked � allowing her to participate in party politics � but did not address Article 112. Prime Minister Prayut Chan-ocha also registered his nomination for the top job Friday. Military government spokesperson Weerachon Sukhontapatipak said the incumbent administration welcomed the princess’s nomination. “We don’t [have] the concern with any candidate because we believe that it’s the people’s decision, is the most important, nothing to worry,” he said. Asked if her nomination had upended Prayut’s chances of victory, he said such comments were incorrect because the election would be free and fair. Analysts, however, were unified Friday in their belief that the princess would easily eclipse Prayut at the polls. Paul Chambers, a political analyst and lecturer in Thailand’s Naresuan University, said if she stayed in the race, she would definitely win. “I don’t see who would vote against her and also you have to realize it’s not just royal legitimacy that she has. She also has the fact that she has allied herself with Thaksin and so people who want to have populist measures would be voting for her as well,” he said. Chambers said the princess is known as a maverick who has refused to do what traditional institutions expect of her. A victory to the princess would also solidify the power of her brother, he said. “The sovereign of Thailand, who is her brother, finds it is in his interests to have her run as the candidate close to Thaksin,” he said. Chulalongkorn University’s Thitinan Pongsudhirak said in the longer term, the big question was if the dramatic development would lead to greater polarization of Thai politics or a window to reconciliation. Thaksin and his sister Yingluck, who were both ousted in military coups and subsequently prosecuted, are living in exile. Chayika Wongnaphachan, a member of Thai Raksa Chart and the niece of Yingluck and Thaksin, declined to comment.